Outdoor lighting for your Georgetown home doesn’t have to be plain and practical. 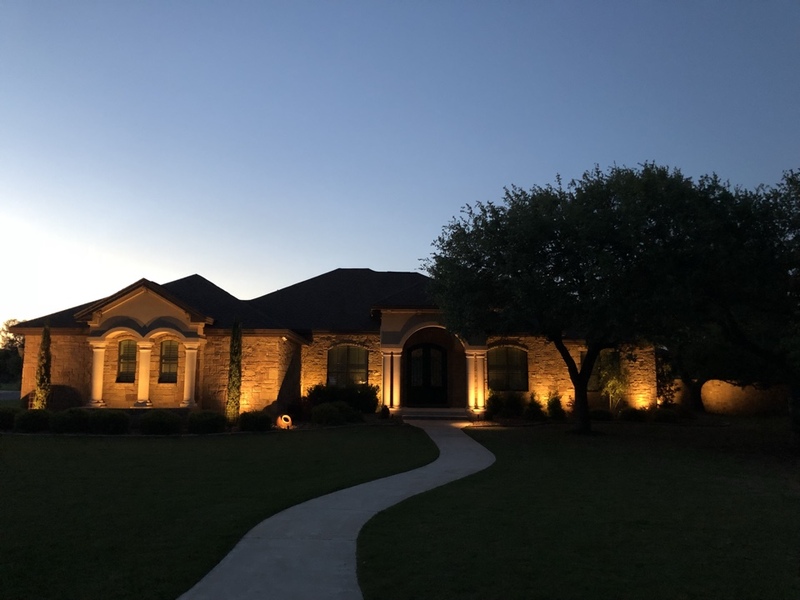 At Enhanced Outdoor Lighting & Design, we specialize in providing the best outdoor lighting in Georgetown, Texas for those who want to improve the appearance of their property. Our lighting solutions go beyond delivering security and functionality. Our lighting experts create decorative lighting solutions that can enhance your landscaping, garden, poolside area, home exterior, or patio. We also offer security lighting solutions that make your property safer at night while also boosting your home’s curb appeal. At Enhanced Outdoor Lighting, the professionals at our family-owned business bring their expertise and experience to the table when helping you choose the right lighting for your property. Our LED lighting options also make outdoor lighting as efficient and affordable as possible. With outdoor lighting solutions from our experts, you and your family can spend more time outdoors at night, which is ideal if you have an outdoor living space or patio. Our outdoor lighting also makes it safer for you, your family and guests to walk through your yard or landscaping when it’s dark out. We look forward to working with you on creating the perfect outdoor lighting solution for your Georgetown home. When you spend time and money on landscape design for your Georgetown home, you don’t want it to go to waste. With the right landscape lighting, you can make the most of your landscaping investment around-the-clock. 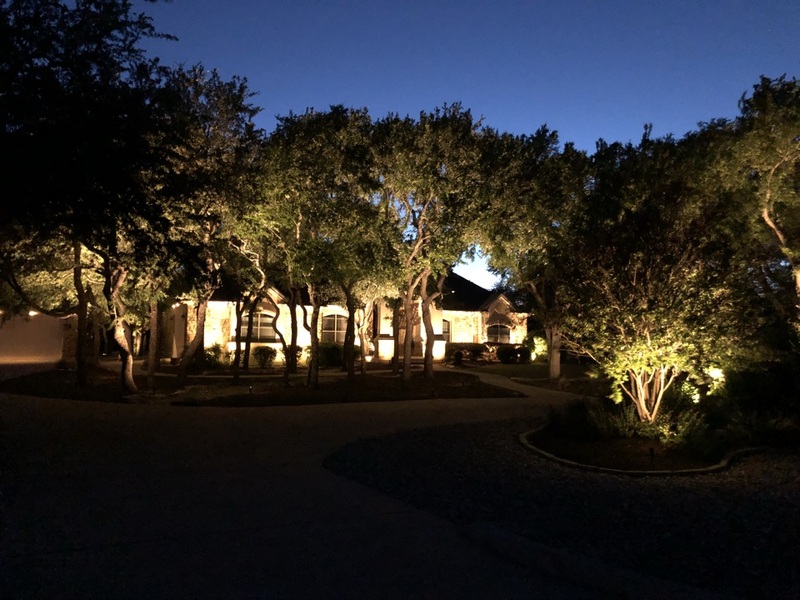 At Enhanced Outdoor Lighting, our experts provide effective landscape lighting installation and design in Georgetown, so you can keep your landscape noticeable when it’s dark out. The professionals at our family-owned lighting company know how to select the right landscape lighting design for any property. Our experts also follow strict safety guidelines during the installation process, which helps ensure that your new lighting is properly set up and ready to use. When you have an impressive garden, decorative trees, and bushes or fountains and other water features as part of your landscaping, our experts can make sure that your new landscape lighting enhances their appearance. 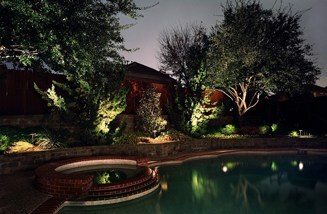 Our landscape lighting also adds security to your property and lowers the risk of personal injury or intruders. With our LED lighting for landscaping, you’ll also have affordable lighting that reduces your energy usage. You can count on the professionals at Enhanced Outdoor Lighting to provide you with superior landscape lighting at your Georgetown home. The cost of living index in Georgetown is 98, which is higher than the Texas cost of living index of 90 and just a bit lower than the U.S. cost of living index of 100. Residents who make their home in the city have an average household income of $62,219, which is considerably higher than the national average household income of $53,482 and the Texas average household income of $52,576. Around 47,400 people live in Georgetown. The average price for homes in Georgetown is $197,600, which is higher than the average home price of $131,400 in Texas and the average home price of $175,700 in the U.S. The higher cost of homes and the higher cost of living in Georgetown compared to the rest of the state has a few notable advantages to consider. More and more people are moving to the city thanks to its very low crime rate, impressive local amenities, and good employment opportunities. The city also has several decent schools, including private schools. Georgetown welcomes volunteers from several different departments and organizations. These volunteer opportunities help keep the city in excellent condition and provide residents with a chance to give back to the community. Volunteer opportunities include helping the local animal shelter, public library, police department and parks and recreation department. Residents can also be part of the Main Street Program, which is responsible for planning and hosting local events and caring for the city’s downtown area. Georgetown offers plenty of attractions, landmarks, and other places to explore throughout the city. Whether residents prefer visiting cultural attractions or having outdoor fun, there are a number of options available. Head to Lake Georgetown for water skiing, boating, fishing and more. The lake area also has a wildlife preserve and camping areas. Inner Space is a living cave filled with beautiful formations for visitors to admire. Visit San Gabriel Park for walking trails, canoeing, fishing, swimming, or relaxing in the sun. The downtown area offers historical and cultural attractions, along with shopping and dining options. Take a historic downtown tour to learn more about the area and its landmarks, or browse local works of art at Georgetown Art Center. Discover the area’s history and culture at the Williamson Museum, and catch a live performance at Palace Theatre. Those who enjoy golf can test their skills at the area’s golf courses, such as White Wing Golf Club, or Georgetown Country Club. Outdoor enthusiasts can explore the biking and hiking trails that run along the South and North San Gabriel Rivers. Dan and Team, exceptionally professional, customer service oriented, great at what they do - enhancing value of your home. Excellent lighting! Very well set up. Wonderful attention to detail, with emphasis on our satisfaction. The installation was non obtrusive and seamless. We are very very pleased with the final product and effect it has on our home! Made our house look like it would be worth another 100k!! Enhanced Outdoor Lighting lights a beautiful home in Georgetown using the best lights on the market Kichler. 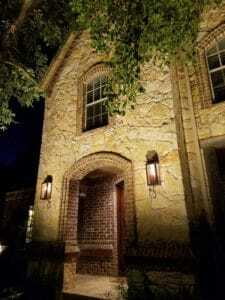 Enhanced Outdoor Lighting lit up another beautiful home in Georgetown Texas using the best Kichler lighting equipment.